Phoenix, Ariz. – Commercial Properties, Inc./CORFAC International (CPI), Arizona’s largest locally owned commercial real estate brokerage, is pleased to announce the opportunity zoned sale of The Sky Harbor Inn. Comprised of 95,092 square feet, this multi-family property sold for $9.25 million ($97.27 PSF). The property was built in 1977 and is located on Van Buren Street just west of 24th Street and Phoenix Sky Harbor International Airport. CPI’s Kimberly Rollins and Dallan Randall of the Rollins & Randall multi-family team represented both the Seller, Sky Harbor Investment Properti, and the buyer, Incline Village Properties LLC. 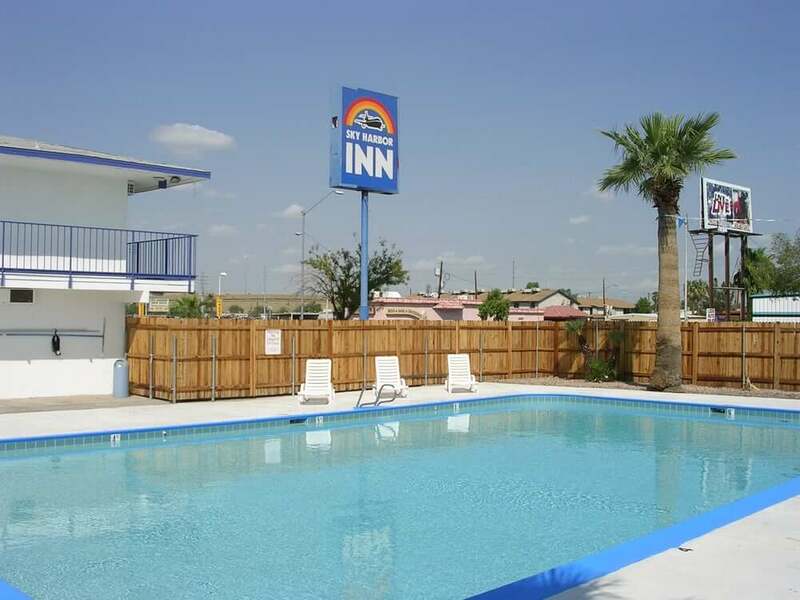 “Located minutes from Phoenix Sky Harbor International Airport, and downtown Phoenix, The Sky Harbor Inn was 97% occupied at the time of the sale and provides easy access to the Valley Metro light rail, and the Arizona freeway system,” stated Randall. For additional information, please contact Kimberly Rollins at krollins@cpiaz.com and 480.634.2319 or Dallan Randall at drandall@cpiaz.com and 480.634.2320. CPI is a CORFAC International affiliate, full-service Brokerage and Property Management firm for all product types. Headquartered in Tempe, the company has more than 55 brokers and occupies two offices locally. Currently, CPI’s listings include over 20 million square feet for sale/lease, and 197 projects under property management, totaling over 11.6 million square feet. Please visit our website at www.cpiaz.com.